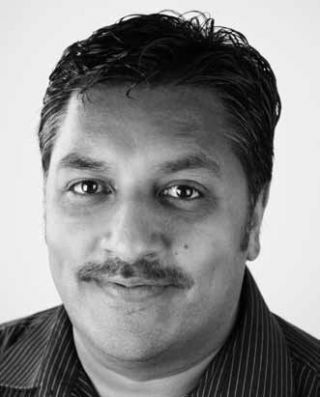 Bash Akhtar is Martin Audio's new operations director. He oversees all aspects of the day-to-day running of manufacturing, including production, supply chain and anything else that affects the operational effectiveness of the business. System Contractor News Managing Editor Chuck Ansbacher sat down with Akhtar to discuss his vision for the future. BA: I’ve always been a manufacturing and operations geek! I’ve spent my entire career in manufacturing. I love the creation of a product, which is a strange thing, I know. I’ve been involved in a wide variety of products, from military products to biological and chemical safety equipment to aerospace components. Each industry has its own foibles and standards, but at the end of the day you are taking raw material or components and creating something tangible and useful, which is very rewarding. From a personal point of view I’ve always been a change agent, and the challenges in working with a successful company are very different from a company that’s struggling. With the successful growth that Martin Audio has achieved over recent years, the approach to change is much different; more strengthening of the operations function is required. One of the biggest issues normally faced is the resistance to change, but I have to admit that the team at Martin is an exception to this rule. The team wants to progress—they have the desire to improve, and that is a refreshing change. Within the first few days of my appointment, the team themselves had come up with the operational mission statement “Progress Through People and Procedure”, which shows their hunger to improve. I’ve always believed in generating customer enthusiasm rather than satisfaction, and being able to provide that enthusiasm attracted me to work for Martin Audio. BA: We have two main short-term challenges to overcome: inventory management and production planning. As the business has grown rapidly over the last few years, there is a need to tighten up some of our processes and procedures to allow us to manage further growth. A lot of our current inefficiencies stem from the manner in which we manage production planning and is the key area of my focus. One key medium- to long-term goal is to transform our current production from batch to single piece flow across the board. This should further improve our responsiveness and quality as well as driving down our operating costs. BA: Our heritage is within touring and we need to maintain our strength there. However, there is increased opportunity and momentum for us within fixed installation, and we are seeing success within houses of worship, theatres, bars, and restaurants. SCN: Are there new initiatives we are likely to see from Martin Audio? BA: We have some exciting new products in the pipeline that are going into the production phase soon. They truly encompass the ‘unite the audience’ message that Martin Audio stands behind. SCN: How can systems contractors better position themselves to profit from products and/or services Martin Audio has to offer? BA: We offer a range of premium products that solves acoustic challenges and deliver an unparalleled audience experience. In turn, this makes venues of any description more successful as a result. Systems contractors that can marry this to potential clients win.